Stock transfer may be subject to gift tax. Although the transfer of ownership of a stock certificate happens with decreasing frequency and involves steps that would not be required for an electronic transfer of ownership, the tax implications are the same. 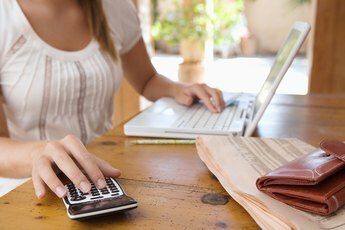 Such a transfer costs nothing for one person transferring ownership to another, unless the value of the stock exceeds a threshold stipulated by the Internal Revenue Service. The recipient of the transfer of ownership, however, might incur a tax liability -- depending on what she does with the stock. A stock certificate is a legal document that certifies your ownership of stock in a company. It you want to transfer your ownership in the stock to someone else, you must perform a stock transfer, which is easy to implement. A stock transfer form is filled out and submitted to a stock registry agent, whose primary responsibility is to keep a record of the exchange of shares from one investor to another. To get started, go to the agent's website, and print, fill out and sign a "Stock Transfer Form." It is important that you endorse the stock certificates and get a medallion guarantee from an approved financial institution to authenticate the transfer. 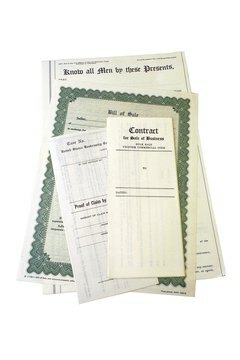 Mail the form and stock certificates back to the agent. A stock transfer could potentially carry a "gift tax" for you as the donor, but you're free from the tax if the value of the shares is $13,000 or less (as of the writing of this publication). 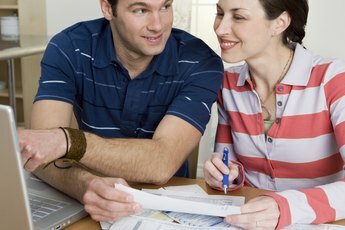 Married couples can give up to $26,000 without triggering the gift tax. There is also estate tax to think about. The value of your estate is everything you own including stocks. An executor sells your assets to pay off all your liabilities upon your death. The remainder of your estate goes to your heirs, which would include any shares of stock. 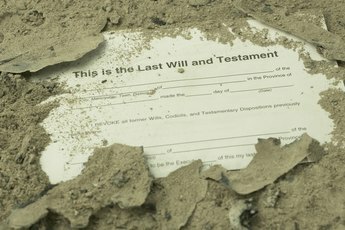 For estate planning purposes, for deaths occurring in 2012, estates worth $5.12 million or less are exempt from paying the estate tax of 35 percent. Normally, the recipient of the shares does not pay taxes on the stock transfer, which is the good news. The bad news is, she can't avoid paying capital gains tax if she decides to sell the shares for a profit. Short-term capital gains tax could be at her ordinary income tax rate if she sells the shares less than one year after receiving them, or at the lower long-term capital gains tax rate of 15 percent or less if she waits longer than one year to sell the shares. The Internal Revenue Service uses the cost basis of the donor if the recipient sells the shares and they appreciated in value since the transfer to calculate the capital gains tax and how long she held the stock. If the shares declined in value before the transfer, the tax paid depends on how much of a gain or loss the new owner made on the sale. At the end of the year, you decide to transfer your 5,000 shares of Acme Corp. to your niece. You bought the stock for $50 per share. Your cost basis in the stock is $250,000. If the shares rise to $275,000, the cost basis for your niece is the original cost to you. If she sells the shares for $275,000, she pays capital gains tax on the $25,000 ($275,000 - $250,000). If the fair market value of the shares falls to $200,000 at the time of the transfer but she sells the shares for $260,000 at a later date, her cost basis is $250,000 or the original cost of the share to you. In this case, she pays capital gains tax on $10,000 ($260,000 - $250,000). If the shares fall in value to $180,000 when you transfer them to your niece and she sells the shares for $175,000 at a later date, her cost basis is $180,000, which is a capital loss of $5,000. She may use the capital loss to reduce her taxable income up to $3,000 per year.